Supra Tonals are a big, fat, super bulky yarn made from squishy soft Merino wool. 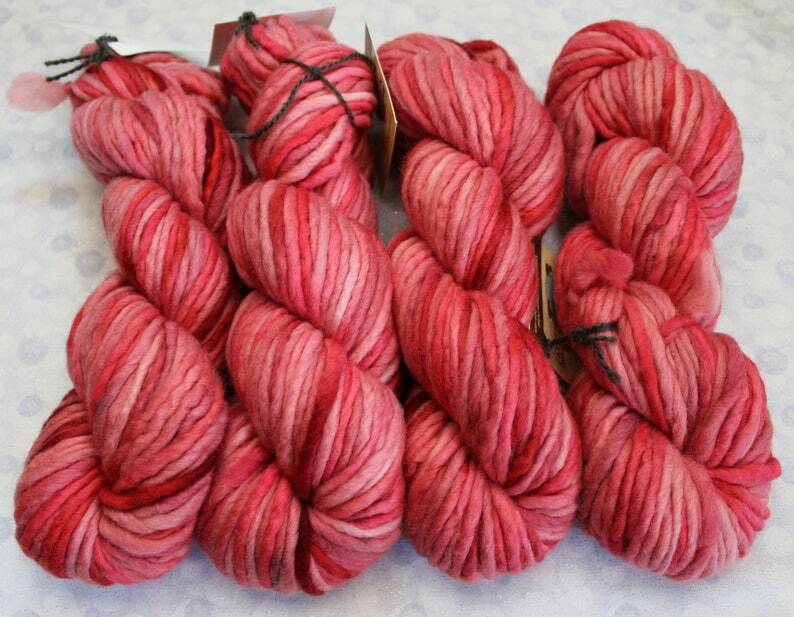 This is a singly ply yarn that I've hand dyed into tonals of color. Perfect for quick knits or crochet, and awesome for doll hair as well. While giving the yarn its final wash, I purposely felt the yarn just a teeny-tiny bit, which gives the yarn stability. If you are using this yarn for doll hair, you won't have to worry about the cut ends falling apart. The last photo is to give you an idea of the thickness of this yarn. It is not included in this listing. NOTE: This yarn WILL felt. Supra Tonals are the perfect yarn for combining with my super bulky handspun. Gorgeous yarn that made for a stunning beanie! Thank you!